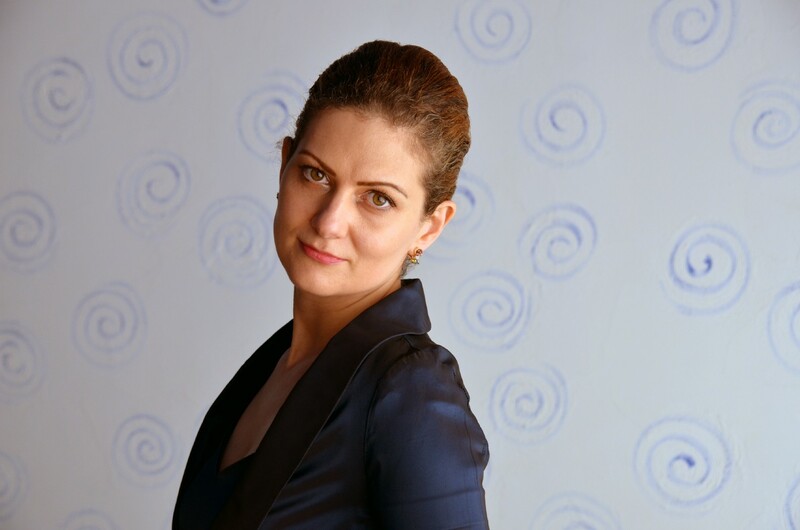 The CEO of Transformify, Lilia Stoyanov helps match companies to their perfect employees. The CEO of Transformify, Lilia Stoyanov has graduated from Oxford University with a major in Financial Strategy. She is also a professor at Zigurat Business Scholl, Barcelona, Spain teaching blockchain, fintech, fundraising and Digital Transformation FI/CO and serves as an Expert Evaluator Horizon 2020 of the EU Commission. Previously, she was Director PTP Europe at Coca-Cola Enterprises and GM&CFO of Skrill/Paysafe, part of the management team led the company to USD 800 mio exit. She is the 2013 Coca-Cola Enterprises Finance Excellence Award, 2017 First Women Award, and 2018 Female Entrepreneur Enterprise Award winner. That’s how Transformify was born. Initially, we introduced highly-skilled people to businesses via email but later built Transformify Recruitment CRM to automate the process and offer a payment guarantee. There was a pressing market need. People will continue to lose their jobs due to business transformation and automation, the millenials will insist on work and travel, the digital nomads are already a norm and not an exception. If you add to all this the social mission of Transformify underlying the variety of CSR and diversity and inclusion programs we offer to our clients, it would have been a pity not to found this business having the potential to transform people’s lives for good. We have been recognized as a disruptor by Virgin and received a number of awards since then. Transformify leverages on HR-tech, Fintech and AI to help businesses hire top talent, transfer secure payments and boost sustainable growth worldwide. Ranking in Top 10 Fintech Innovations and a member of the Digitals Skills and Jobs Coalition of the EU Commission, Transformify champions the bridging of the digital skills gap. It appears that the job seekers have no information about the skills the business needs and which skills are likely to complement their existing skills portfolio. Having information about both the skills the business needs and the skills the job seekers poses, Transformify’s powerful algorithms ‘’learn’’ from the experience of thousands of people having similar career paths to be able to suggest the relevant eLearning that will uplift the profile of the job seeker, increase the chances of getting hired and boost the pay rate. A lot of companies speak about CSR, diversity and inclusion but there are not that many that actually take action. Among the variety of CSR Programs we offer to our clients, #RebuildLives aiming to revitalize post-war zones, provide jobs to the refugees and boost financial inclusion is definitely disruptive. You may be surprised but out of 147 000 founded annually, 120 000 cease to exists within one year. The Market Entry Pack for Startups addresses this problem by providing the startups with a 5 step program allowing them to enter and validate new markets on a tight budget. Our Virgin mentor, Chris Boyd, was very helpful and always there for me when I needed guidance. However, the most important one is my dad who never let’s me to give up. We expanded to 150+ countries in less than 3 years without any external funding. Asia and the Middle East are on our focus as these are fast growing developing markets with a huge potential. “Learn to rest, not to quit.’’ I am a workaholic and can reach a level of complete exhaustion when everything looks impossible. 1 year ago, I was so tired, I was ready to just let it go, when my mentor said that it is time to learn how to rest and this was the best piece of advice I could receive. “Life is unfair, do your best and keep moving.’’ We were ranking in Top 3 in a competition until the last round. Out of a sudden, another company nobody had heard of took our place. I could hardly hide my disappointment but my dad said that it is not a random jury that matters, it is the respect of our clients and rivals that’s important. “It is not the fear that should drive your decisions, but your inner confidence.’’ It was a situation that appeared helpless but one of my best friends simply said ‘’Look around. Everybody in this room will stand behind you no matter what. Do what you feel is right’’. When I founded Transformify, I had very little experience with sale. The Sales Hacker podcast was, and still is, a valuable source of information and guidance. Elon Musk. We both have a fintech background and I really admire his resilience. He is one of the people I always look at when I am close to giving up as he never does. I write for Transformify HR Blog and Entrepreneur.com. They are also welcome to connect via Linkedin.